We operate a hub of 5 world-class dairy farms located in Dong Ying, Shandong Province and 2 new farms in Chifeng, Inner Mongolia. With a total herd size of over 72,000 imported Holstein cattle, we produce top-of-the-range premium raw milk for domestic consumption as well our own branded milk until the Greenfields label. 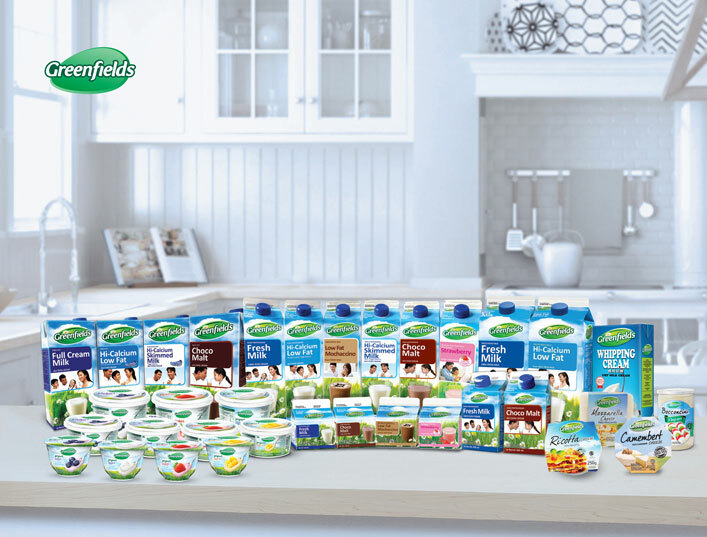 From our integrated farms and processing plant in East Java, we produce consumer branded premium fresh milk and quality dairy products under the label - Greenfields. The brand is positioned in the premium fresh dairy category for both domestic and export markets. 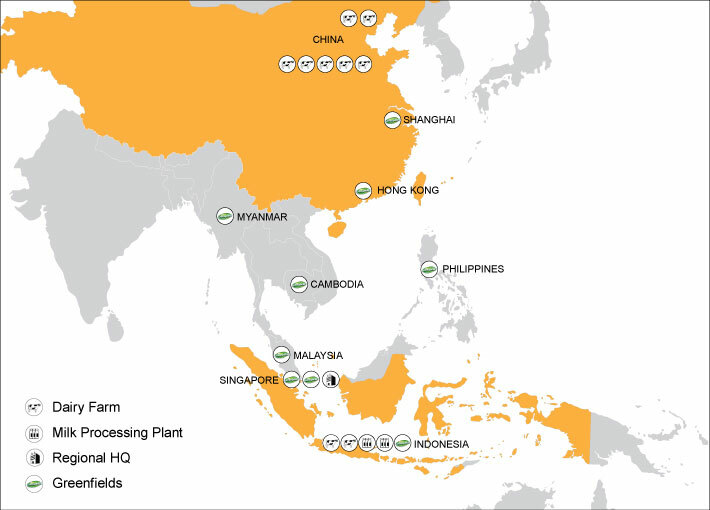 Singapore is the regional marketing and distribution hub for Greenfields fresh milk and other premium dairy products to leading supermarkets, gourmet coffee chains and catering institutions in Hong Kong, Singapore, Malaysia, Brunei, The Philippines, Myanmar and Cambodia.